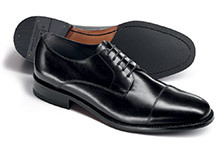 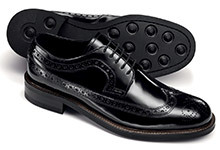 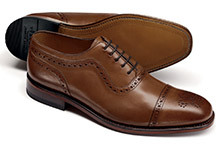 Derby shoes provide you with a smart look that’s suitable for the office and an evening jaunt. 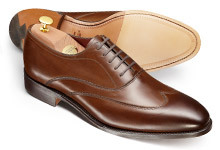 Charles Tyrwhitt’s derby shoes have been crafted with breathable leather linings and a strong construction, bringing you a style of footwear that’s comfortable and hardwearing. 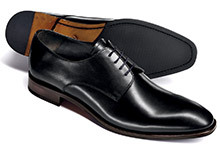 Choose from black, brown, suede and leather derby shoes and find a pair that’s perfect for your wardrobe. 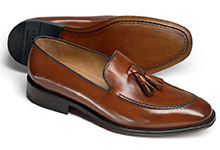 Give your men’s shoes collection a revamp with our loafers, trainers business shoes too.